There are times when you think that the marketing is just not working with. No matter whatever you try everything seems against you. In that time when you start to lay your hands on the digital marketing, the same happens with it. You just can’t do that right in it too. In that case what you should do is to do the digital marketing the correct way. If the digital marketing is beneficial for others then it can be beneficial for you too. 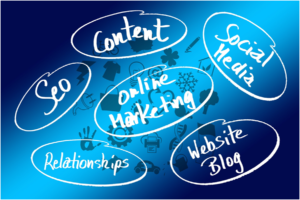 So, it’s time to learn how to get the most out of your digital marketing. To do the good email marketing, the first step is to make specific e-mail lists for the specific type of the customers. What happens is that these days, the companies, due to the shortage of time, take the whole list and mail them whatever they want to. This is the wrong way of doing marketing. Suppose you are selling lipstick and you start to promote them to men. Though men can also purchase them for the females this doesn’t work in this way. Soon the men would start to unsubscribe from the mailing stating that “your emails are irrelevant to me”. Mail only females, so that you can get the most out of the product and the subscription. Though it will take time to filter soon everything would be sorted. Once you sort them, you can use it. The other way is to merge the product with the men collection. If you have a razor and you are promoting it, you can take a little space in the banner and add the lipstick too with a classy line that would attract. We all know that the mobile is a direct medium to communicate. But if you don’t do that the right way, you would get nothing. While communicating through a mobile phone, make sure that you don’t irritate the customer. Whether it be a message or a feedback call, do care about the preferences of the customers. Secondly, the messages that are sent on the phone should be considered and precise like the e-mail marketing. No customer would want to fill his cell phone with the irrelevant messages. So keep that in mind and do the mobile marketing in an efficient way. One of the most powerful marketing strategies, social media marketing is doing great these days. You would find every company’s account on the social media and everyone comes up with their new offers. Now you must be thinking how would you be doing the social media marketing? Most of the people think that boosting a facebook advertisement would get all the money but this is not the case. If you target specific people on your page, you would definitely find some new customers. Run the polls to know about the preferences of the customers and act in the same way.